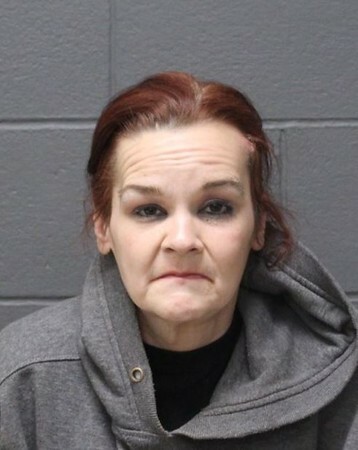 SOUTHINGTON - A local woman accused of neglecting three dogs is expected to take a plea bargain. Kelly Savage, 38, appeared Tuesday in Bristol Superior Court, where her attorney, Paul Catalano, said an "acceptable offer" has been extended to his client. He said he expects her to take the deal at her next hearing, on May 1. The terms of the deal were not put on the record. Catalano said Savage would have taken the deal on Tuesday, but she has another matter pending out of a different courthouse. He wants that matter to be resolved before finishing the Southington case. According to police, Kelly Savage and Jason Savage, 41, were arrested April 9 after their three dogs were found in February 2018 stained with urine and feces, and had live fleas on their fur. The bedroom where the animals were locked - two of which had to be euthanized - was infested with bugs and reportedly smelled so bad that one of the officers who responded to investigate had to leave the home. The third dog recovered and was set to be adopted. Jason Savage in September accepted a plea bargain, pleading guilty to one misdemeanor count of cruelty to animals. He was sentenced to one year in prison, suspended, and 18 months of probation. In addition to other conditions, he is not allowed to have any pets while on probation. Kelly Savage faces charges of cruelty to animals, failure to comply dog ownership requirements, no rabies vaccination and second-degree failure to appear. Posted in New Britain Herald, Southington Herald on Tuesday, 26 March 2019 16:50. Updated: Tuesday, 26 March 2019 16:52.